It seems that most people don’t feel particularly opinionated about discussing their birth, with most people being born in a hospital. 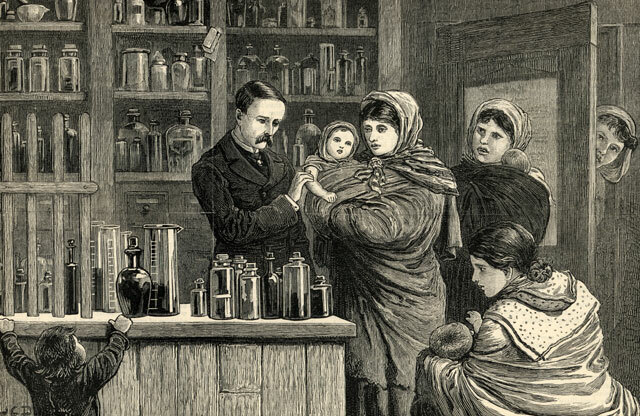 With the introduction of both prenatal testing and the ultrasound, women were more than likely to give birth in a hospital than in their own homes, as seen frequently within the 17th, 18th, and 19th centuries. In 1978, around 90% of births were done in a hospital, proving the power of the medicalization of childbirth. This begs the question, how did something that was once a personal and female-reserved occurrence drift into the hands of primarily male medical professionals? The introduction of the ultrasound in 1956 contributed directly to this shift. With the new ability to view the infant pre-birth, men were more inclined to be involved in the prenatal care, however with this increase came an attempt to diminish the industry that allowed for birth to be a mainly female event. During the 1910s, many states attempted to stop the midwifery practice, making birth an inherently medical process—unless one wanted to literally take it into their own hands. This was after many medical professionals warned women that without the most modern forms of medicine, the likelihood of risks during the birth were significantly higher. This was not a fact, as some studies have shown that per 1000 infants, the death rate for those born at home with a midwife is 0.37%, whereas in a hospital it is 0.64%. (https://www.ncbi.nlm.nih.gov/pmc/articles/PMC2742137/) Additionally, 64% of obstetricians are male, banking off of the fact that women have been conditioned over years to believe hospital births are the safest choice, even during centuries when they weren’t. When discussing this with my cousin, who is pregnant and employing a practicing midwife, she had a lot to say on the topic. In her words, “Sometimes I think we forget that women have been having babies since the dawn of our civilization—and yes, medicine has helped in a lot of ways, but many people can rely on their own bodies over medical interventions. I believe the whole midwife experience helps to do so.” All over the world, natural childbirth is encouraged, and in some cases, relied upon. Even in a similar, western climate such as London, midwifery is highly more common than in the United States. Women’s bodies are not only beautiful, but they are also powerful. I do not mean to make hospitals seem like daunting institutions, however, the medical field in America has continually taught women that their bodies are not entirely reliable to complete a key function without intervention from a medical professional (this being said, of course, it should always be a woman’s right to choose). And yes, while hospitals are an amazing privilege to have, they are not the only safe option.